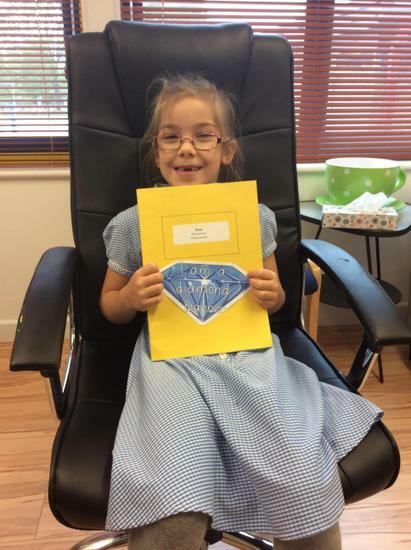 Olivia has been working really hard to improve her writing. She uses her knowledge and applies it to every piece of written work and has created a fantastic story! Harry has been working very hard with his handwriting. 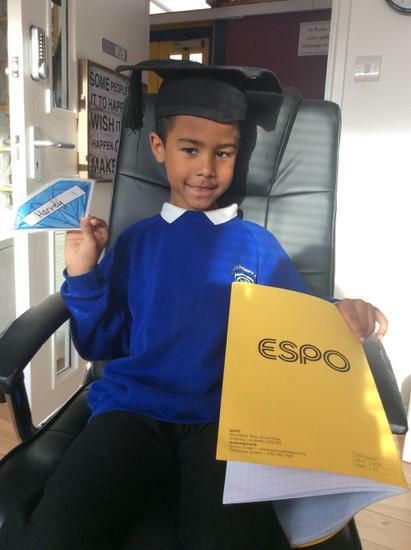 He has been practicing every morning and is becoming more and more confident when writing. 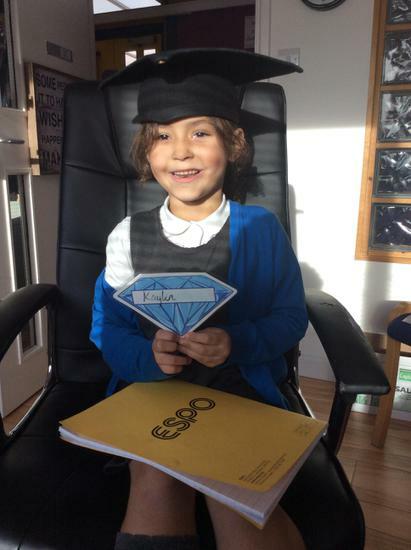 Tulah worked super hard in our Exciting Writing sessions. We worked on editing and redrafting our letters in the role as Henry VIII, she improved her use of complex sentences incredibly well. Rosie has been working really hard in maths using number lines to help with her addition and subtraction. 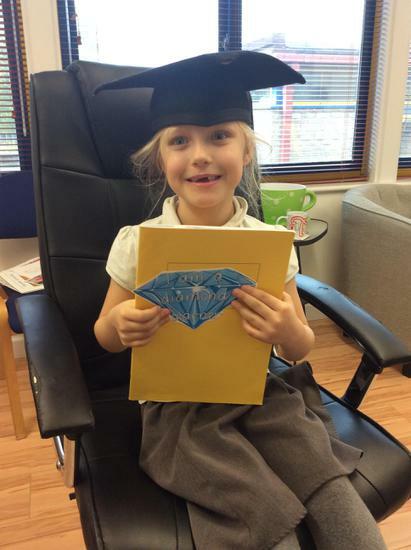 She has been working hard to start independently. Lyndon has been working super hard with his fine art skills. 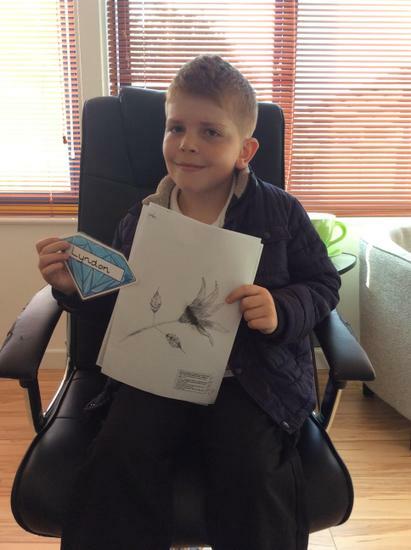 He persevered with this delicate drawing and the results turned out wonderful. Jessica wrote a wonderful piece of descriptive writing in our English lesson. 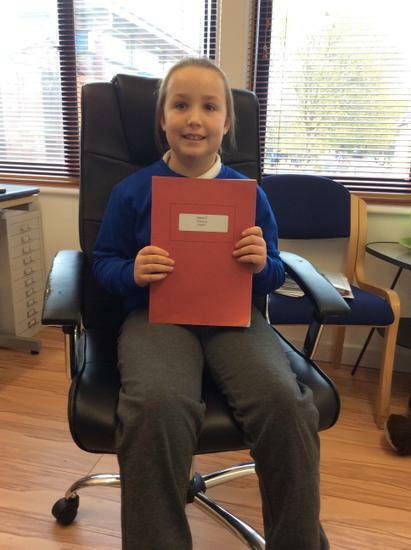 She used wonderful adjectives and fronted adverbials to help bring her piece of writing to life. Tomi designed and made a fantastic doll in the ICE Zone. She worked extremely hard and it paid off as it is fantastic! Huw and Mitchell have made fantastic progress with their writing this year. They have both used fantastic sentence starters, a variety of punctuation and fantastic spelling. Keanen's descriptive writing has come on so much this year, I was super impressed with his detailed description of the Amazon rainforest. Shannon and Suki's writing has shown much improvement this term using a wider range of punctuation and ensuring their writing interests the reader. Ella and Teddy have made excellent progress with their AR so far this year. 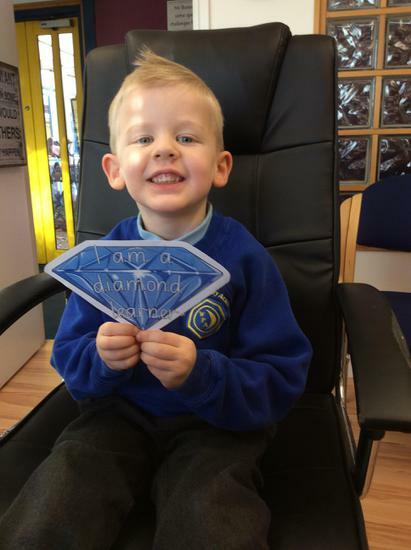 This term Jayden has shown much improvement with his writing. 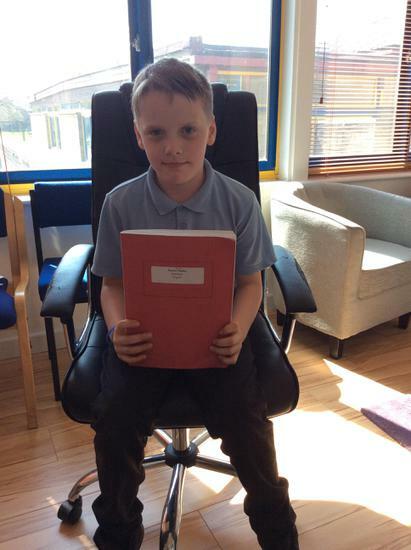 He has fantastic ideas for his written tasks and is developing a wider range of adjectives and punctuation. Connor has tried very hard this term to improve his writing. He listens to advice and tries hard to apply new learning e.g. parenthesis. Keep writing Connor! 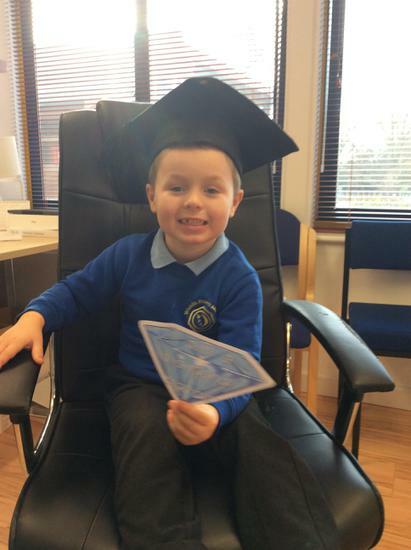 William works exceptionally hard in maths, is focused and always tries hard to apply his learning independently. Reagan demonstrated great listening skills during zumba, focussing his attention well and giving all the actions a try. 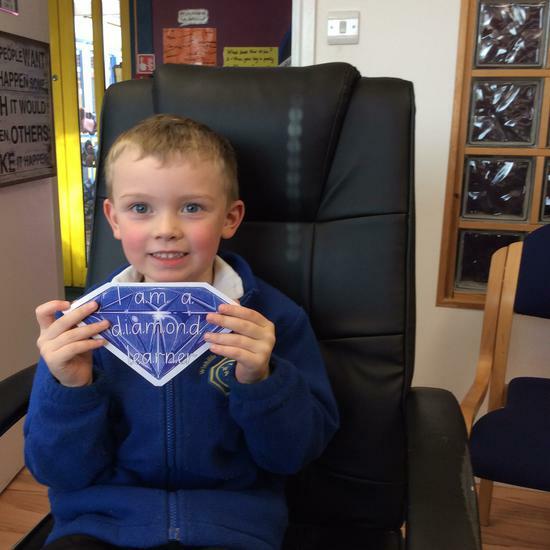 Marshall showed fantastic perseverance to gain his diamond. He created a lego house, returning to improve his building, share the pieces with others and continued even when he found it a little tricky. 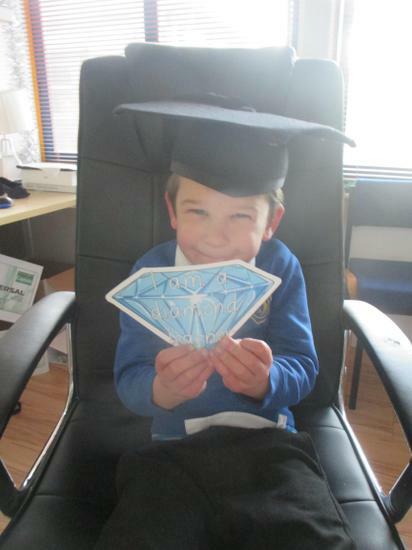 Noah was really proud of his diamond for being a super story teller. He created a storyboard of 'The Three Little Pigs' and added captions and speech bubbles to improve his work. Theo and Mason were both really excited about becoming Diamond Learners during Zumba. They remained focused throughout the entire lesson and demonstrated some fantastic dance moves during the routines they have learnt. 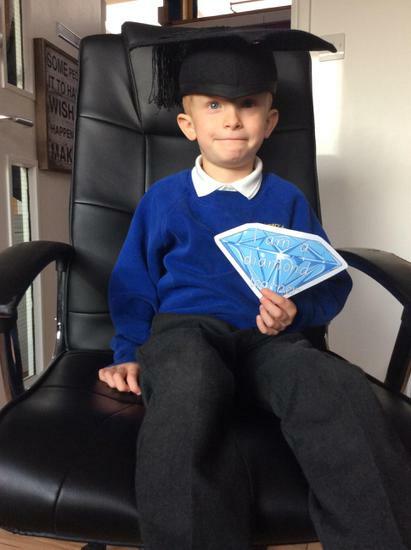 Joel worked hard to achieve his diamond. He was focused and listened very carefully during his Zumba lesson. 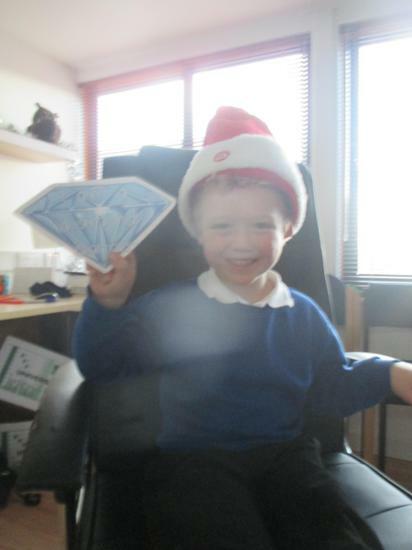 He was also super excited to hold the real diamond! 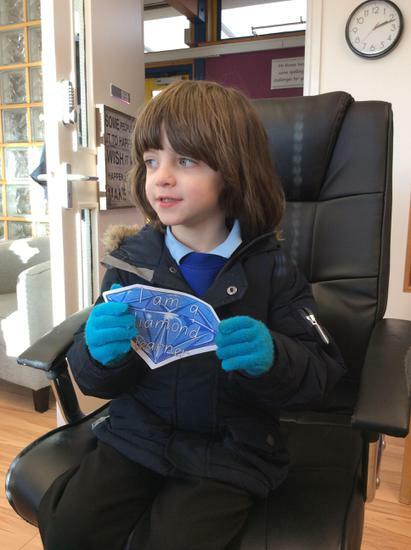 Harry is a diamond learner for his fantastic listening skills during Zumba. Harvey and Kaylin were diamond learners for their fantastic presentation and determination in maths. At the beginning they found division quite tricky but their hard work paid off as they both answered the calculations perfectly! Well done! 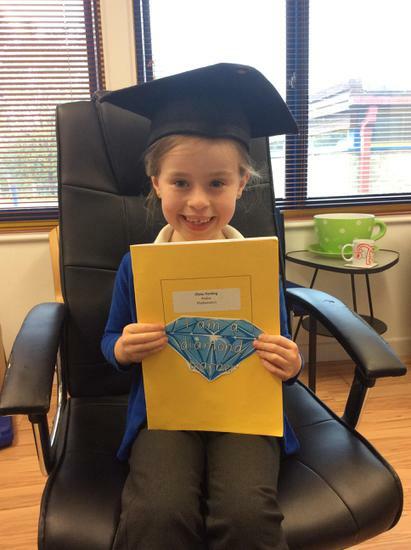 Mollie-May and Olivia received diamond learners for their fantastic maths work! They showed great determination to secure their skill of adding numbers using a number line.